Jermain Defoe has often struggled to cement his place in the Tottenham starting line-up during his two spells with the club, but the striker has highlighted his importance to the team this season after a sensational run of form. Already with 10 goals to his name and leading the Spurs’ strike-force under new manager Andre Villas-Boas, Defoe looks critical to the club’s hopes of getting themselves back into that all important top-four, upsetting the Unibet Premier League odds and securing Champions League football in the process. Laughing off suggestions that Defoe could be set to link up with former Spurs manager Harry Redknapp at QPR, current manager Villas-Boas made it clear the England striker was one of Europe’s finest finishers, comparing him with Atletico Madrid’s Falcao who the coach worked with at Porto. “I certainly put Jermain alongside Falcao in terms of finishing ability,” insisted Villas-Boas. “He smells every cross and when the opportunity is there to tap it in. He is essential to what we’re trying to achieve at this club this season,” added the Spurs manager. While many expected Emmanuel Adebayor to be the club’s main striker this season, there is no denying the fact that Defoe has made it hard for AVB to rotate his front-men. Sure, Adebayor is an excellent option to have in any squad, but if the manager continues playing a lone striker with an attacking midfielder just behind, Defoe has to be that striker. Defoe is definitely capable of that, and knowing his manager is backing him will only boost the confidence that is so critical to the England striker scoring thegoals that make him so important to Spurs. 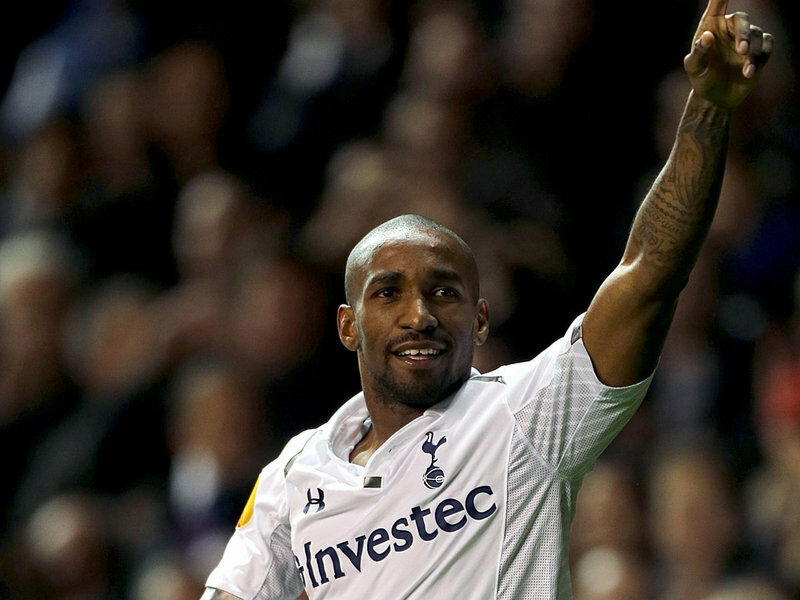 There are few strikers in the Premier League who can match Defoe in terms of finishing ability, but there have been doubts that he would ever be given a real chance in this Tottenham side. AVB will know just how important it is this year for him to have someone in this Spurs team who can score over 20 goals this season. It has definitely helped that Villas-Boas has so far resisted playing the striker out of position. Many managers have succumbed to the urge of using Defoe’s versatility to play him out of position, but AVB has made it clear the England forward is his main striker, and the results have been clear on the pitch. There will be plenty of twists and turns over the rest of the Premier League campaign, but if Defoe can continue his scoring form from the first half of the season into the second half, then Tottenham have a great chance of achieving their target this year. This entry was posted in Barclaycard Premier League and tagged Defoe, Spurs, Tottenham Hotspurs. Bookmark the permalink. Jermain Defoe is absolutely a pure striker,who can be comparable not only with Falcao but also with Robin van persie,Tevez ,Aguaro and so many striker.But he made some mistakes in big matches.But if he is replaced by Emmanuel Adebayor then i think he will play really well.